Home Advice Where to invest in 2014? Developed markets were the winners of 2013, but where is it best to be invested in 2014? where to invest in 2014? 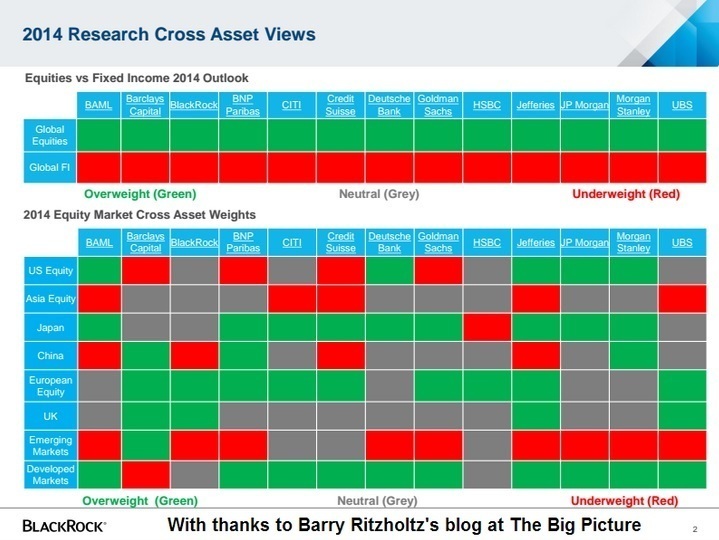 Below you will find some of the largest banks views on asset allocation for 2014. Is your portfolio structured correctly to maximise your growth for 2014? Speak to an adviser, ‘get started‘ today for free, no obligation, financial analysis and information.